Ah, this didn't quite land like its predecessor. There's lots of new stuff to do, and the improved Nemesis system is great, but overall this felt hollow and repetitive. The leveling system never felt like it was in the right place in terms of where you were and where the game wanted to take you, and the final act is a real slap in the face. Laughable "online" options with a points system separate from the solo's? No. A disappointment. 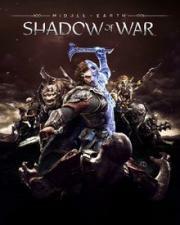 Messy follow-up to Shadow of Mordor's pleasant surprise. Really made me respect how much the first game's restraints made it such a thoroughly enjoyable experience. Also, these games should probably stop trying to have a story altogether outside of "there are some funny orcs and you should kill or enslave them."